Unlike Steve Jobs – who often sparked controversies upon losing his temper when he was running Apple – Tim Cook is a very calm and composed man. We don’t hear him making controversial remarks or losing his cool that often. In an interview with 60 Minutes’ Charlie Rose, however, he did. Rose was pressing Cook about the tax evasion claims that has been clouding Apple in several countries. In the UK, for instance, Apple is said to have evaded millions in income tax by basing its operations in Ireland. To be fair, Rose was pressing the issue rather rigorously, asking questions after questions about the same subject. It is only natural that Tim Cook decided to respond to the issue by stating the obvious. Cook also said that the fact that Apple left billions outside of the United States is due to the country’s tax regulations making it too expensive to bring those revenue home. “It would cost me 40 percent to bring it home, and I don’t think that’s a reasonable thing to do,” Cook says. Cook appeared in from of the Senate to discuss the same set of issues not too long ago too. It was a hearing held about two years ago, and in it Cook stated the same argument about the cost of bringing Apple’s overseas revenues home. The 40% cut Cook talked about in several occasions is indeed true. 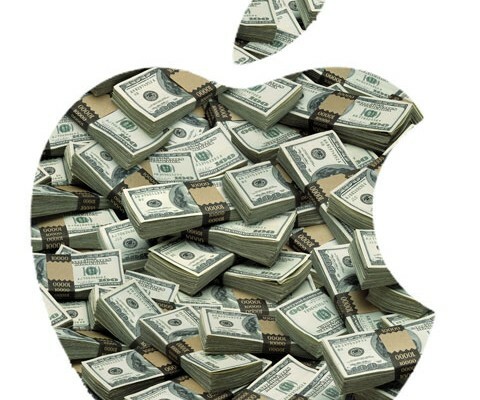 To bring home revenues from Apple’s overseas holding companies – there are a few based in different locations – the company would have to pay up to 40% in income tax alone. On the other hand, these holding companies rely on US employees to operate, which was the reason why the Senate inquired on the matter in the first place. Without the US employees, overseas holding companies will not be able to generate – and process – its revenues the way they are today. Ireland is beginning to close a major tax loophole that Apple and a number of other companies have been using to save on tax. It is still to be seen whether Apple will change its policies or move its base of operations to another country once the changes are in place. To view the full interview, be sure to check out 60 Minutes with Charlie Rose this Sunday. Don’t forget to leave your comments on the matter down below!